Georgina Kleege (English) and Christopher Downey (Architecture) will talk about navigating the city as a blind person, with perspectives informed by their professions of writer and designer. Georgina Kleege joined the English department at the University of California, Berkeley in 2003 where in addition to teaching creative writing classes she teaches courses on representations of disability in literature, and disability memoir. Her collection of personal essays, Sight Unseen (1999) is a classic in the field of disability studies. Essays include an autobiographical account of Kleege’s own blindness, and cultural critique of depictions of blindness in literature, film, and language. Many of these essays are required reading for students in disability studies, as well as visual culture, education, public health, psychology, philosophy and ophthalmology. Blind Rage: Letters to Helen Keller (2006) transcends the boundaries between fiction and nonfiction to re-imagine the life and legacy of this celebrated disability icon. Kleege’s current work is concerned with blindness and visual art: how blindness is represented in art, how blindness affects the lives of visual artists, how museums can make visual art accessible to people who are blind and visually impaired. She has lectured and served as consultant to art institutions around the world including the Metropolitan Museum of Art in New York and the Tate Modern in London. Christopher Downey, AIA, is an architect, planner and consultant who lost all sight in 2008. Today, as one of the few practicing blind architects in the world, he is dedicated to creating more helpful and enriching environments for the blind and visually impaired. His work ranges from a new Department of Veterans Affairs blind rehabilitation center, to renovations of housing for the blind in New York City, and to the new Transbay Transit Center in San Francisco. He teaches accessibility and universal design at UC Berkeley (Arch 269) and serves on the Board of Directors for the Lighthouse for the Blind in San Francisco. The complete PowerPoint presentation can be viewed here. Video of the presentation can be viewed here. Georgina Kleege. First-Hand Knowledge: Reflections on Blind Identity (#6) at Art Beyond Sight: Multimodal Approaches to Learning, Metropolitan Museum of Art, October 16, 2009 (video). Chris Downey. 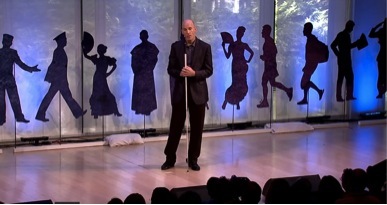 Design with the Blind in Mind TED Talk, Nov. 12, 2013 (video). Chris Downey. 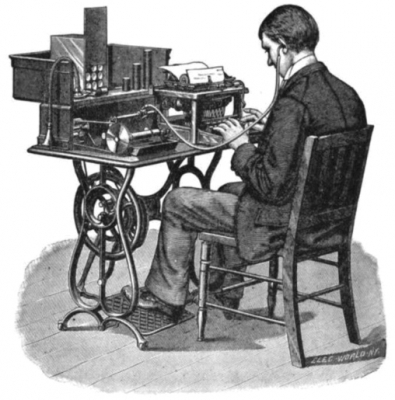 Design with the Blind in Mind transcript. This interdisciplinary colloquium will present speakers investigating cities and urbanism from multiple angles—through texts about cities, through looking at cities as texts, through art, photography, sound capture, performance, mapping, and crowdsourced sensing technologies. Multisensory details lead to richer experiences of literature and of life. 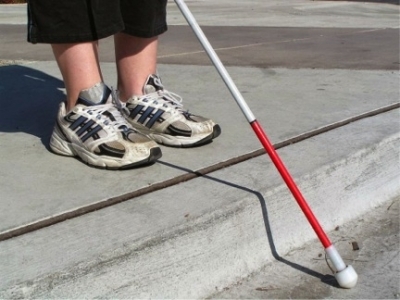 How would one design a City for the Blind? Better design can make better cities for pedestrians of all abilities. Careful attention to one's surroundings allow multiple stories about everyday routines to emerge. A livable city--you know it when you sense it.